Aw Bless, Isn't it Cute? 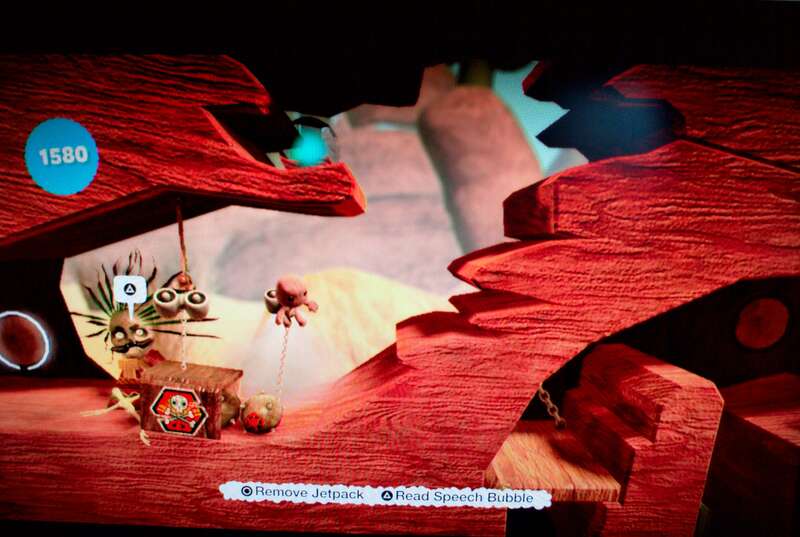 On the surface, if you were to look at Little Big Planet purely based on what comes in the box, you'd find a cute, yet relatively small platform game. If you dig a bit deeper, you'll find there's quite a bit to be had in this simplistic looking platform game. In fact it's among the first true platform games to be seen on the PS3, not to mention being one of the very few good old side-scrolling platformers in quite some time. After a remarkably clever introduction sequence that gives you both the credits and a simple introduction to basic controls, you're off into the first kingdom to play a game. The first thing that strikes you when you fire up the game for the first time is the amazing detail in the graphics and textures. 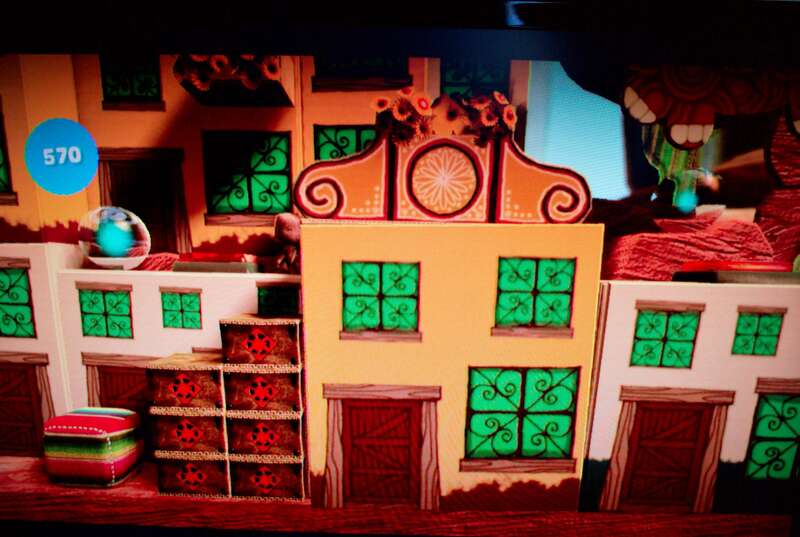 Most surfaces look photo realistic, and theres' a very elegant design to the "cardboard cut out" style artwork that assembles the maps. The cardboard cutout design is a clever mechanic in the game, both lending to the doll house feel the game is intended to project, but also as a convenient excuse for having a logical but understandable system for level construction without having an AutoCAD or 3DS Max or Radiant style editor many PC gamers are accustomed to for complex 3D world editing. The effect comes across very well. Gameplay is reasonably simple to explain for anyone that's played a Mario, Sonic, or Oddworld game. It's a good old classic side-scrolling platform game; something we don't see a whole lot of these days since the 3D gaming world got started (thanks, id.) There are a few notable differences from the conventional side-scroller, however. Most notably is the 3-planes of gameplay. The world is rendered in 3D, and thus allows you to move toward the front of the screen or rear of the screen over three planes of surfaces. Of Equal or greater importance, however, is the physics system. The entire world revolves around a Half-Life 2 style physics system where everything has physics model to it. Everything from your sack person to mine carts, to hanging lights, to carryable objects, and even some platforms have weight, and this affects their movement. Moreover, all objects and surfaces have a surface type that affects their grip, weight, lighting, and other attributes. The physics is not just a graphical effect in this case, it is a critical component of how you play the game. The game is structured into several kingdoms, each of a unique theme. While an attempt is made to form a story out of it, it often makes little sense. This isn't truly a negative for the game though, as the wacky environments certainly fit in with the lack of a continuous plot. More importantly, each kingdom serves as a "texture pack" for the map editor. Unlike most games, playing the single player game is not optional, it's actually a part of the mapping process for online play. As you play levels in the single player game, the items you find throughout the level, including hidden areas and bonus sections, are actually objects, decals, surface types, and other components or you to use in your own maps. You can only use objects you've discovered in your own maps, how's that for incentive? 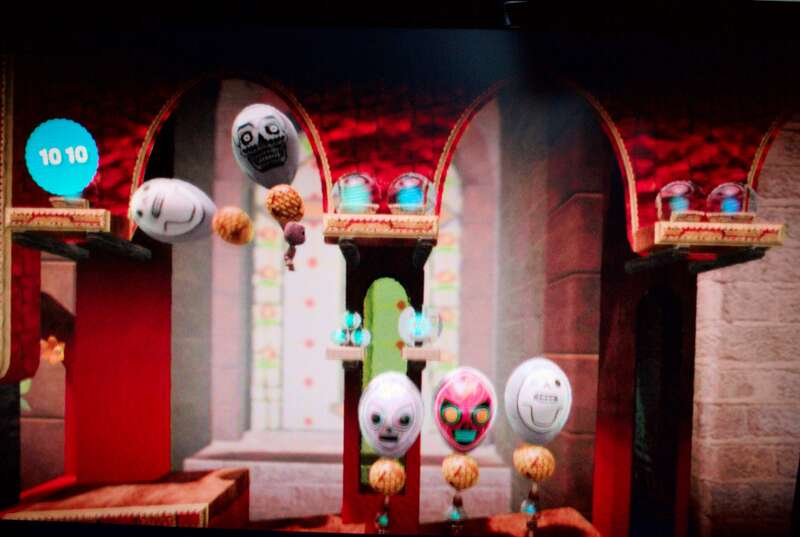 Most of the objects are cleverly hidden and quite difficult to get to throughout the game, so it will take quite some time hunting them all down. For veterans of the classic SNES' Super Mario World, the concept of hunting down any available objects even through multiple runs of the same level will feel right at home, right down to finding keys for a "bonus level" to be discovered, sometimes multiple within a single map. Indeed the replay value of the single player game can be quite extensive given the vast number of well hidden objects. Completing the game once is hardly approaching complete for most levels. 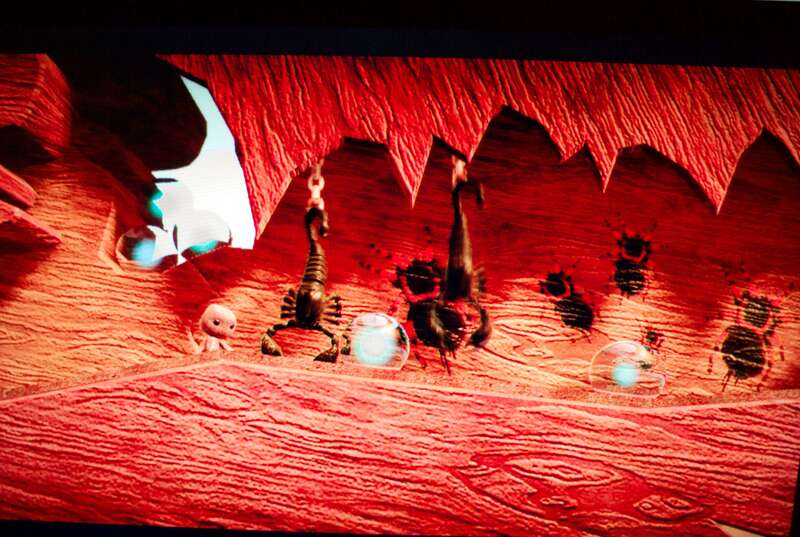 Precisely one year after the initial wave of Little Big Planet hit the world, Sony has taken it upon themselves to release a PSP port of the title. Though developed outside Media Mollecule, it would be nearly impossible to tell the difference in creative direction. All of the sack-charm remains in the game, from its cardboard dollhouse visual approach to it's physics-driven platforming play style, it's all here. Of course, the PSP isn't a DualShock 3, and no critic seems to be satisfied with a PSP review without mentioning the lack of controls. 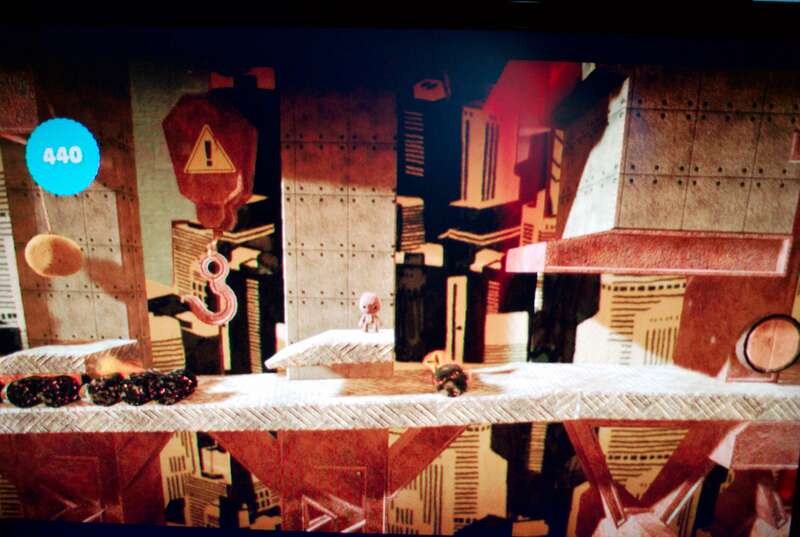 This effect is much reduced on Little Big Planet's gameplay, however, due to its simple platforming nature. 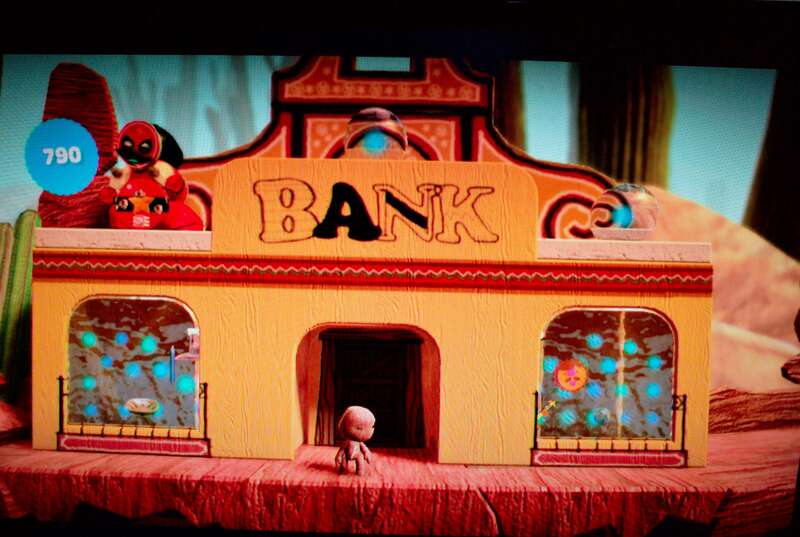 Extraneous details like independent micro-controlled sackboy dancing has been sacrificed in exchange for quick taunts and gestures, but these details don't hamper the game in a measurable way. While the only impediment to the gameplay has been the reduction of a three-plane 2D world to a two-plane 2D world, the actual level design is, arguably, superior to that of the original game. Designed for the PS3's multiplayer concept, level mechanics had to be simple enough that four players don't get in each others way (something Miyamoto San should have considered for New Super Mario Bros. Wii.) With the single-player-only attitude of the PSP, levels have become more interactive with complicated machinery and lever systems for your sack person to operate and drag around to get to the end of a level. The removal of limited respawns also proves to be a boon for the game. One of the greatest frustrations of the original title is the limit to four respawns at especially difficult areas of the game. In the PSP version, while you'll lose "bubble" points, you won't see a hard limit at the respan gates. Finally! 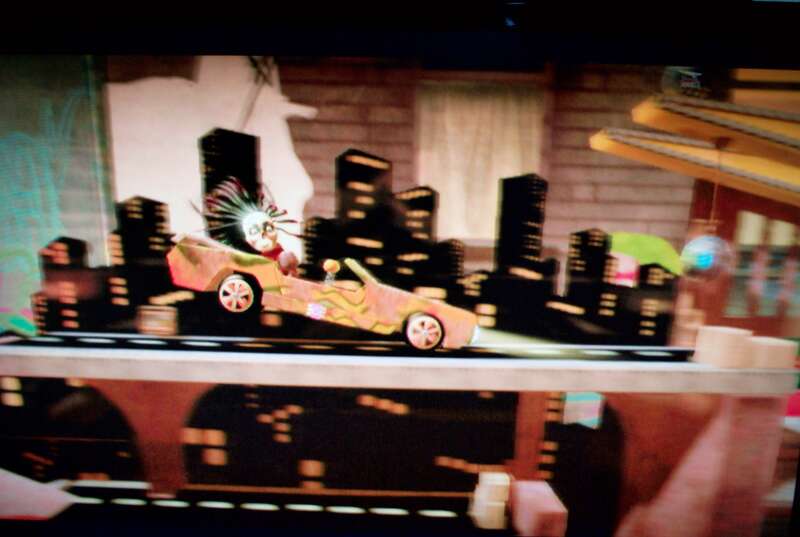 While the level design and creativity has increased, the lack of controls on the PSP present a specific problem for the game's tagline feature: The level editor. The good news is the PSP version includes a level designer, turing your handheld into a creative workstation. 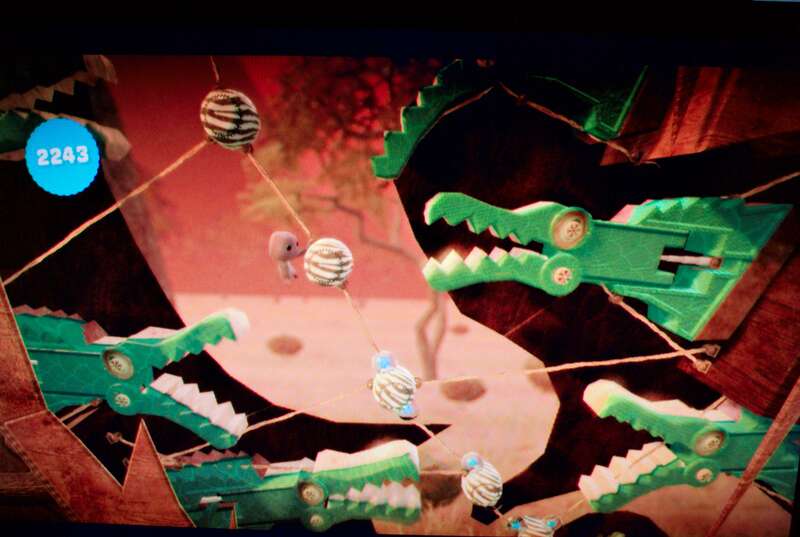 The bad news is that complicated controls and limited features presents some frustrating challenges with level design. It's still extremely workable, but not quite what PS3 players are used to. It's also clear that Sony designers were not creating their top-notch levels on mere PSPs. Beyond that the gameplay is nearly identical, and is one of the most worthy titles on Sony's flagship handheld.